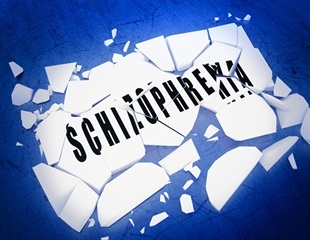 Alzheimer's disease and schizophrenia are some of the most common brain disorders and have been associated with problems in cells that contain a type of protein, called parvalbumin. Researchers on the path to finding a cure for spina bifida have identified specific elements in stem cell secretions as key to protecting neurons and ultimately reducing the lower-limb paralysis associated with the birth defect. Researchers from Russian Academy of Sciences developed a new method for star-shaped nanoparticles synthesis based on laser irradiation. The details regarding the validation of this new device are published in the latest issue of Scientific Reports. Although currently laser surgery is a very popular tool for various vision disorders correction, it is still difficult to ensure proper control over the accuracy, efficiency and safety of such procedures. A team of University of Illinois at Urbana-Champaign researchers led by Professor Stephen Boppart has successfully visualized the tumor microenvironment of human breast tissue shortly after it was surgically removed from a patient in the operating room. Neurons are brain cells that communicate with each other by sending electrochemical signals along axons. When a neuron is about to release a signal - in the form of an electric charge - it allows ions to pass through its membrane via ion channels. In this interview, Émilie Beaulieu Ouellet, Application Scientist for life science imaging at Photon Etc talks to New-Medical about their range of preclinical infrared imagers and how they can allow cancer detection. In January 2009, the life of engineer Michel Meunier, a professor at Polytechnique Montréal, changed dramatically. Like others, he had observed that the extremely short pulse of a femtosecond laser (0.000000000000001 second) could make nanometer-sized holes appear in silicon when it was covered by gold nanoparticles. Important research by Barrow Neurological Institute neurosurgeons and University of Washington (UW) scientists on novel imaging technology for malignant brain tumors was published in the August issue of the Nature journal, Scientific Reports. New research from South Australian scientists has shown that vitamin D is unlikely to protect individuals from multiple sclerosis, Parkinson's disease, Alzheimer's disease, or other brain-related disorders. Research by Barrow Neurological Institute physicians and University of Washington scientists on novel imaging technology for malignant brain tumors was published in the April issue of World Neurosurgery. University of Adelaide researchers have invented a world-first tiny fiber-optic probe that can simultaneously measure temperature and see deep inside the body. Optical Mammography, or OM, which uses harmless red or infrared light, has been developed for use in conjunction with X-rays for diagnosis or monitoring in cases demanding repeated imaging where high amounts of ionizing radiation should be avoided. Early diagnosis in thyroid cancer can improve a patient's likelihood of recovery, but current screening methods use instruments with poor sensitivity and can yield inaccurate results. UPM researchers have developed an optical biosensor with an easy, fast and affordable method of read-out that allows the in vitro detection of a biological material. The results obtained are promising for the diagnosis of dry eye diseases. Researchers from the University of Adelaide have found a new link between the brain's immune system and the desire to drink alcohol in the evening. Researchers at the ARC Centre of Excellence for Nanoscale BioPhotonics, led by the University of Adelaide, have successfully developed an advanced new imaging technique, which can help assess the quality of early-stage embryos. A fast, simple blood test for ulcerative colitis using infrared spectroscopy could provide a cheaper, less invasive alternative for screening compared to colonoscopy, which is now the predominant test, according to a study between the Department of Physics and Astronomy and the Institute for Biomedical Sciences at Georgia State University. On July 24 Vanderbilt scientist Eric Skaar, Ph.D., MPH, summarized his group's latest paper in a tweet: "If S. aureus is going to drink our blood like a vampire, let's kill it with sunlight."